November Lists: The month of November is the month of the Holy souls -when we pray for all our deceased family, relatives, friends, parishioners and all the holy souls who have no one to pray for them. There are envelopes with November lists available in the church and on the lists we write the names of any deceased family we wish to remember. Once you have filled in your list and put in your offering please pass on the envelope to one of the Priests and they will be placed into the book of Remembrance which will be called the “Book of Life” and placed upon the Altar at every Holy Mass. 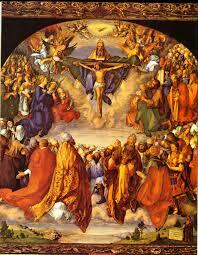 Prayers for the Holy Souls: it is an important prayer that we can all do- in praying for the Holy Souls. Going along to Mass in November especially during the week, saying our Rosary at home or at the Graveyard, saying the “De Profundis” prayer or saying the “prayer of St. Gertrude” are all important ways we can pray for the souls in Purgatory to be guided to the glory of heaven. 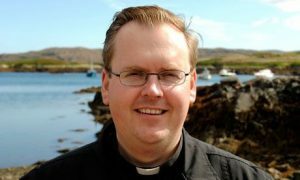 Please pick up a lovely article in our Scottish Catholic Observer this week entitled “Rediscover the month of Holy Souls” by Bishop Hugh Gilbert of the Diocese of Aberdeen encouraging us to pray in this month of November for the Holy Souls in purgatory- in how we all have an important role to play. Castlebay Altar Servers: a practice for new Altar servers will be today- Sunday 4th Nov at 1.30pm in Castlebay Church. Remembrance Sunday Service: next Sunday- the 11th November there will be the Remembrance Day service at the War memorial in Nask at 2.00pm. This year, On Sunday 11th November- it marks the centenary of the end of World War I. Everyone is invited to come along and unite in prayer in remembering those who died in our Great World Wars from the islands. “They shall grow not old, as we that are left grow old; age shall not weary them, nor the years condemn. At the going down of the sun and in the morning we will remember them……..we will remember them”. Gift Aid-Tax refund claim: we recently received our Gift Aid money. This year Castlebay Parish received £9,828.55. Northbay parish received £4583.62. Many thanks to all parishioners who give their Sunday collection as Gift Aid. If anyone else would like to sign up for Gift Aid for the parish please speak to Fr. John Paul. If you pay tax then you are entitled to give your Sunday collection as Gift Aid. It’s one of the easiest ways for the parishes to raise funds to keep our churches wind and watertight!